Miccroderms vs Peels - Fringe / A Salon Inc. 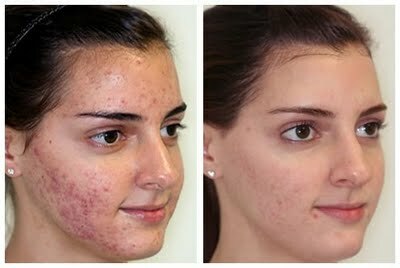 Taking care of your skin is a necessity often overshadowed by hair and nails in a salon setting. 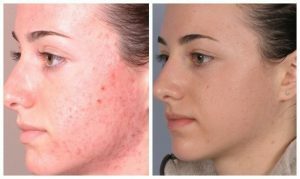 Microdermabrasion is a non chemical, non invasive procedure that uses a spray of microcrystals to remove the outermost layer of dry, dead skin cells and reveal younger, healthier looking skin and even texture and tone. A Peel is a technique used to improve the appearance of the skin on the face, neck, or hands. A chemical solution is applied to the skin that causes it to exfoliate and eventually peel off. 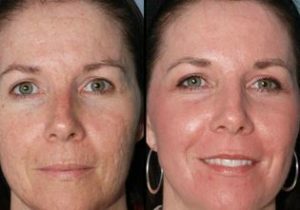 The new, regenerated skin is typically smoother and less wrinkled than the old skin. At Fringe, our preferred product line for treatments like these is Glo Therapeutics. 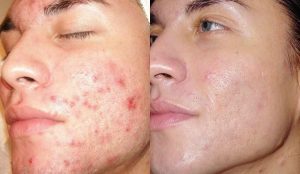 Glo contains higher levels of pharmaceutical grade active ingredients. All Glo peels contain skin friendly acids that gently remove old skin cells to reveal young, fresh skin. 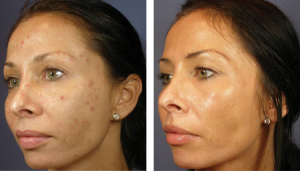 Glo Therapeutics deliver results without skin trauma or aggressive peeling. 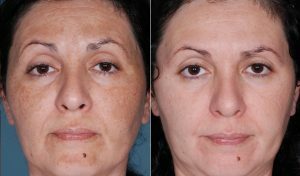 Though the aforementioned treatments can certainly have a drastic and instant effect on one’s overall look, receiving regular skin services are just as important for maintaining healthy, youthful skin. Unlike hair and nail maintenance, the benefits of these treatments are much more subtle and tend to improve gradually. Below are some before and afters to demonstrate the amazing results of these processes.